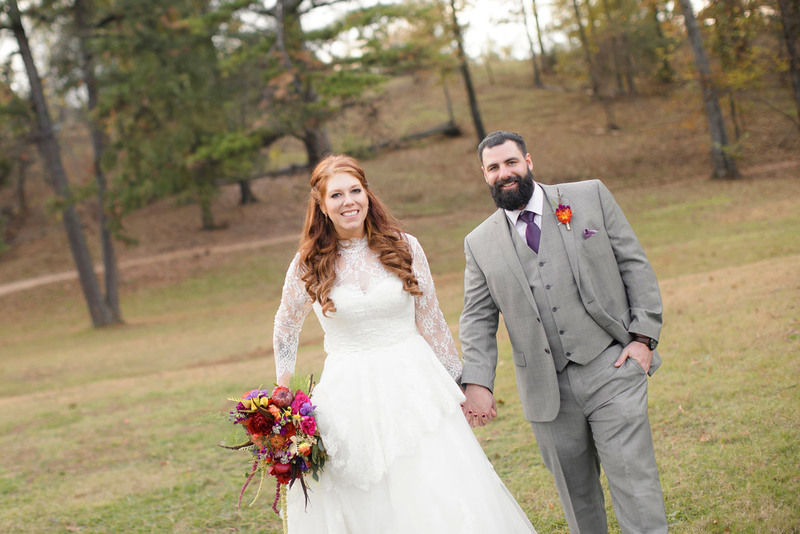 Jessica and Brett were married on a gorgeous fall day at Subiaco Abbey with a reception after at The Barn at Twin Oaks. 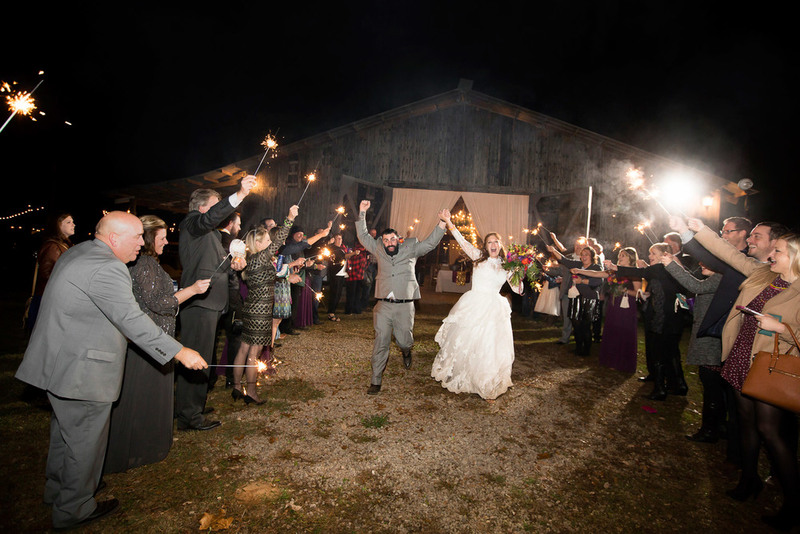 They really wanted a wedding that showed off their expressive personalities that also fit a fall theme, so they decided on bright jeweled tones for their wedding colors. 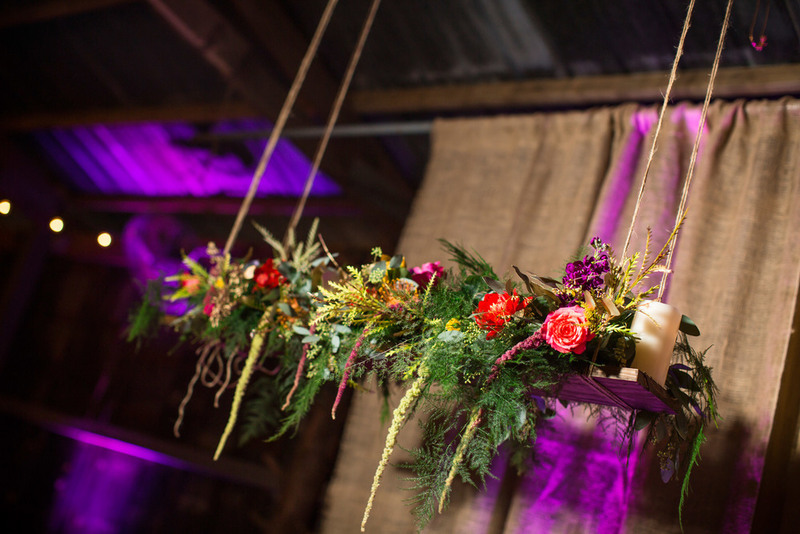 Jessica and Brett worked with The Barn at Twin Oaks to create incredible bouquets, boutonnieres, and centerpieces that complimented the venue perfectly. 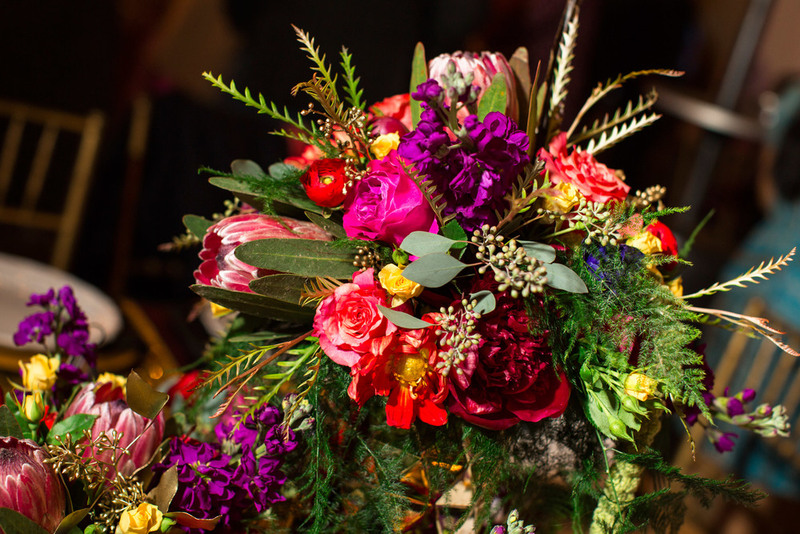 All of the floral arrangements were a mix of bright pinks, yellows, and purples mixed with ferns and feathers to create a look perfect for fall. 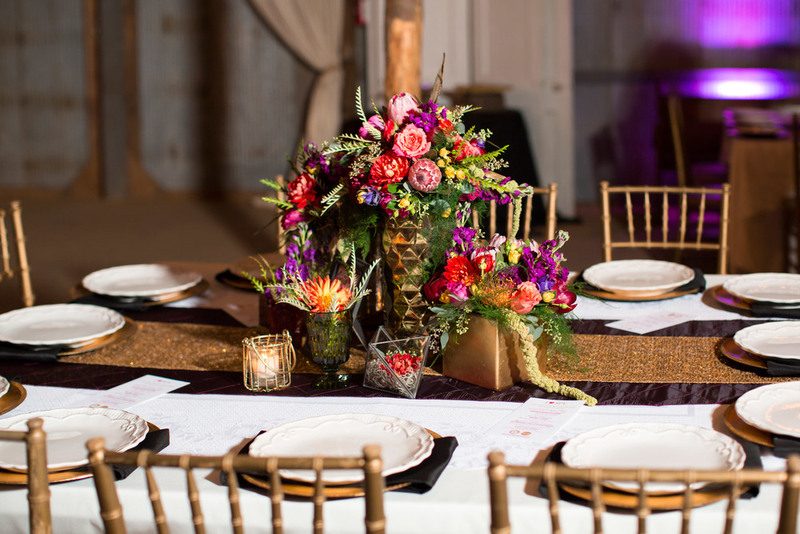 The centerpieces at the reception were composed of a variety of gold geometric vases filled with the lush flowers. There were also geometric shaped glass terrariums filled with flowers and succulents. The tables were also accented with gold sequin overlays and candles galore! 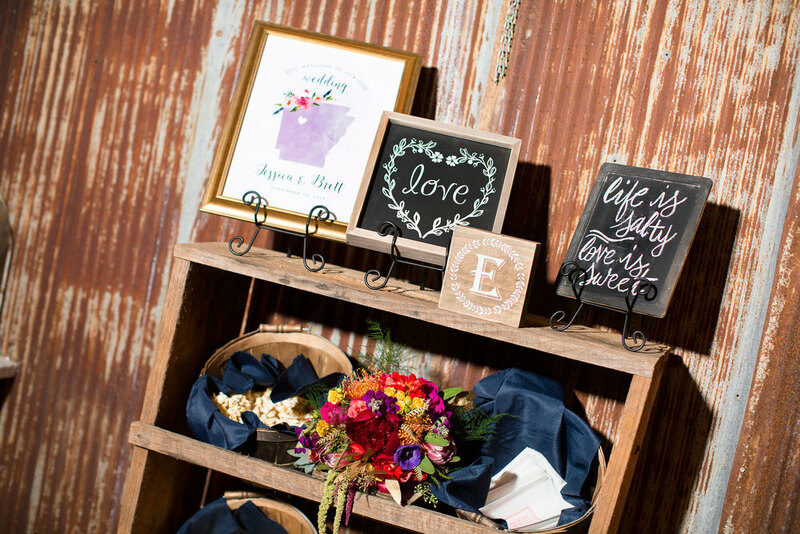 The Cake Place even used elements of Jessica and Brett's reception decor in their cake designs. Jessica decided on four different cakes and a variety of pies, cookies, and mini King Cakes for their dessert table. Each of the four cakes were decorated differently but each had a variety of bright flowers on and around them. 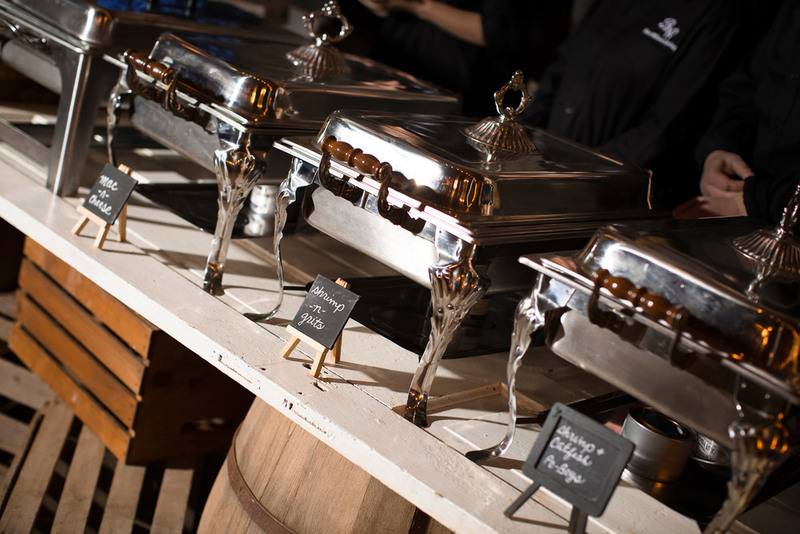 Following a New Orleans tradition that Jessica really wanted to include, the main wedding cake had a variety of charms and cake pulls baked into the cake for friends and bridesmaids to pull and enjoy. 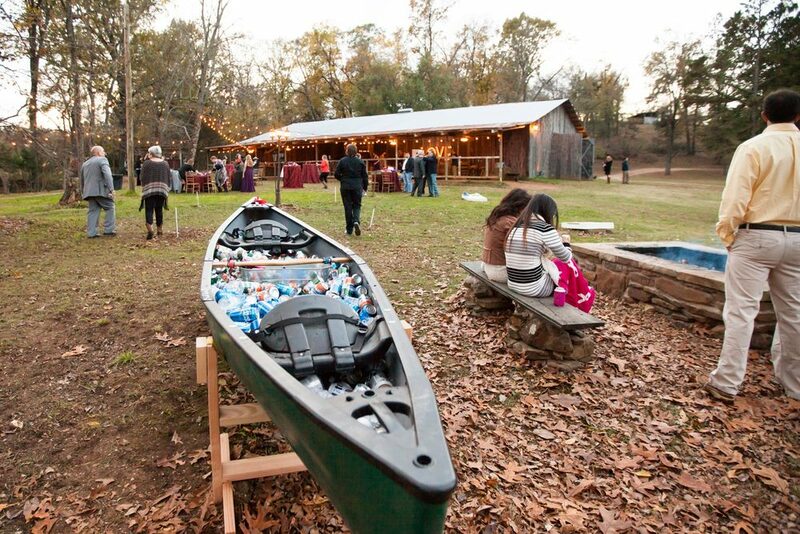 The bride and groom both love being outdoors, so they incorporated Brett's canoe and filled it with different types of beer for their guests to sip on throughout the night. 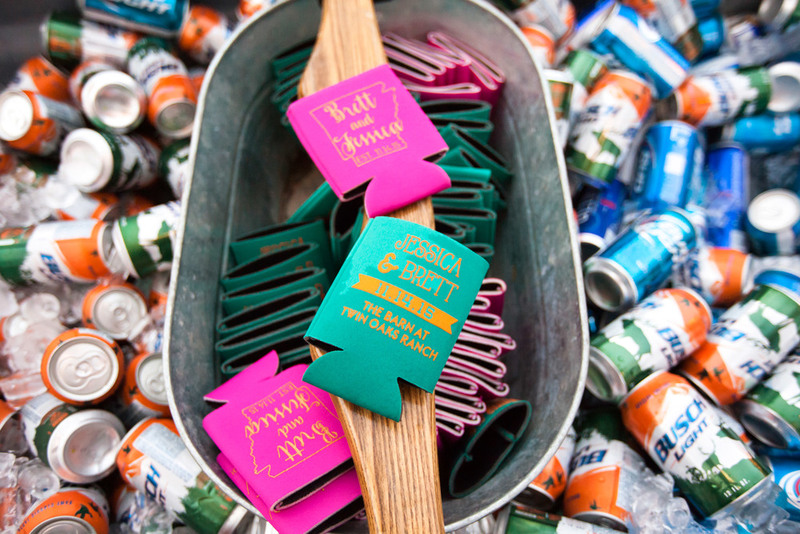 They had custom koozies made as wedding favors that their guests could also use during reception. During the cocktail hour they had a bon fire, yard games, an outside bar, and an amazing bluegrass band. A photo-booth was also setup in the reception hall for guests to take pictures to remember the night. 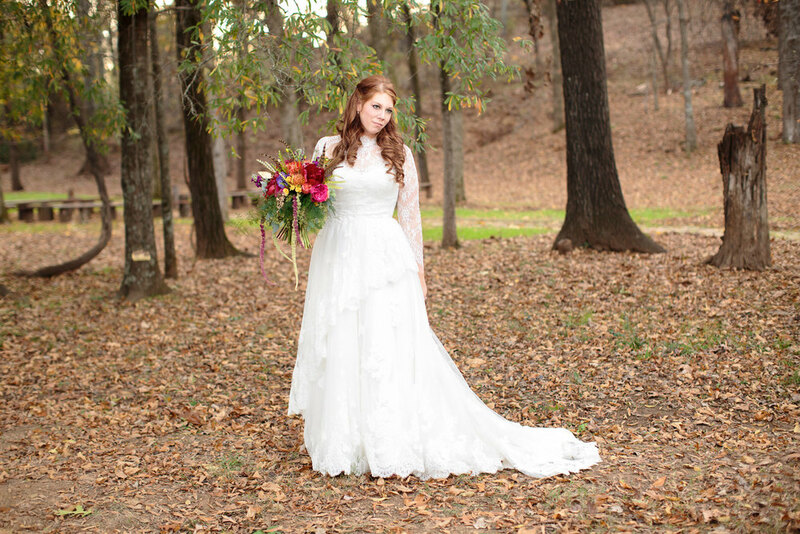 Jessica and Brett had a beautiful perfect wedding day! Everything came together without a hitch and everyone had a blast! Congratulations you two! Here's to a lifetime of love and happiness!! Ceremony Venue: Subiaco Abbey Reception Venue: The Barn at Twin Oaks Bride's Dress: The Bridal Boutique by Mae-Me Bride's Shoes: Mystique Bride's Jewelry: Leeann's Fine Jewelry Bridesmaid's Dresses: Mori Lee Groom's Tux: Men's Wearhouse Makeup Artist: Face Your Day Studios - Aaron Perkins Hair Salon: Face Your Day Studios - Sarah Slusser Florist: The Barn at Twin OaksCakes: The Cake Place Caterer: Blue Willow Catering Event Coordinator: Victoria Hudson Invitations: Paper Plum Co.